Who’s passionate about improving healthcare! Why is healthcare innovation so important to me? As some who has a mother with schizophrenia, a cousin born with a heart condition and having had three open heart surgeries along with a stroke at the age of four myself. I understand how important getting great healthcare can be. Through my personal experience, I have seen first hand the lack of tech innovation in healthcare as well as understanding about mental well-being. I’ve been extremely fortunate to have amazing support and some of the best doctors in the world. I’m a living embodiment of what healthcare innovation can accomplish and know there are many people looking to push the boundaries of how we care for people. I'm looking to help make the world a healthier and happier place. So, that moving forward my cousin and people like my mother have the best healthcare possible. Simply put, my dream is to help people. If you're working on interesting healthcare innovation's, I’d love to chat! I can assure you that, I’m ambitious, resourceful and relentlessly persistent with an extreme hunger to do well. Let's get in touch and work together. If you don’t know, now you know! A personal meditation guide, right in your pocket. MISSION: Improve the HEalth and Happiness of the world. Research & investigate industry trends to inform product positioning, marketing, and sales strategies. Headspace for Work's mission is to support employees be healthier and happier in a world where we’re always on, at home and at work. “The mind I use at home, I take to work...The mind that I use at work, I take home...There’s is not work/life, there’s just life.” - Andy, Co-Founder, Monk and voice of Headspace. As a product marketer, I conducted market research to create value-based narratives, buyer personas, and competitive analysis matrix to help our team better understand the market and serve as a training tool. This internal collateral was used to inform product roadmap, support sales, and retention as well as identify new target markets in order to grow our B2B business. 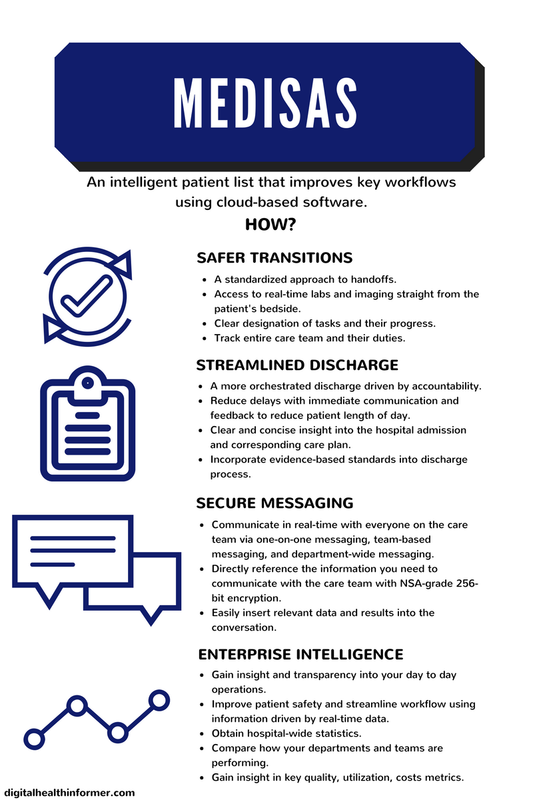 The Ultimate Patient List, to put everyone and everything on the same page for handoffs, rounds, and discharges. MISSION: building a world where software helps to make care safer. Research & investigate hospital hierarchy to identify decision makers. 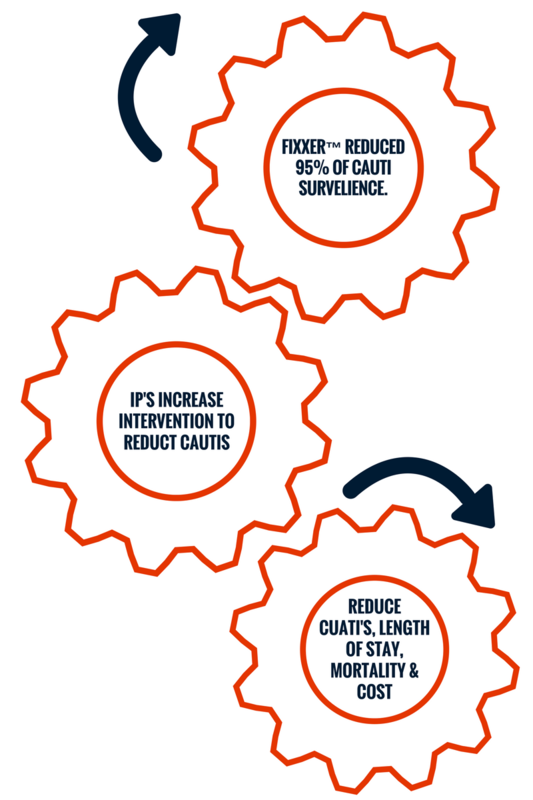 Understand how and what effect we can have to improve clinical efficiency. 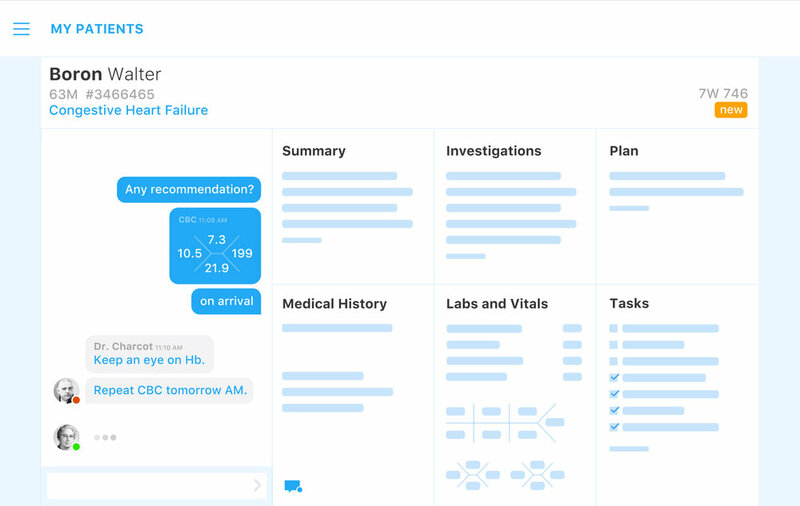 At Medisas we wanted to build software that was designed with the care-team in mind so that they have support to give patients the best care possible and reduce medical errors. As the first BD hire I developed product messaging and brand narratives for each buyer persona as well as starting outreach work resulting in 500 emails/wk & 250 calls/wk to drive leads. I managed all campaign and funnel activities via Salesforce. 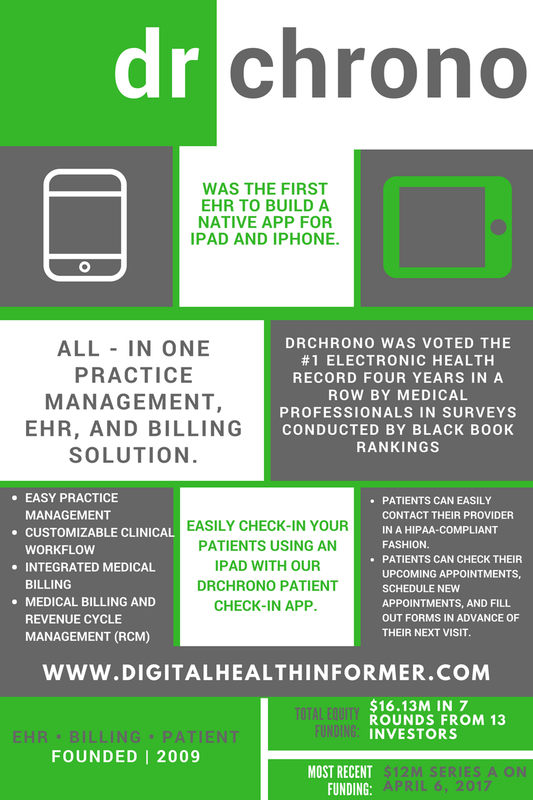 Clinical Process Management in an easy to use platform, compatible with existing EHR systems. MISSION: a new software system, that will revolutionize hospital analytics and address shortcomings in the market to Make care safer. My goal was to redesign the website and begin implementing and designing initial Marketing Campaigns and materials. 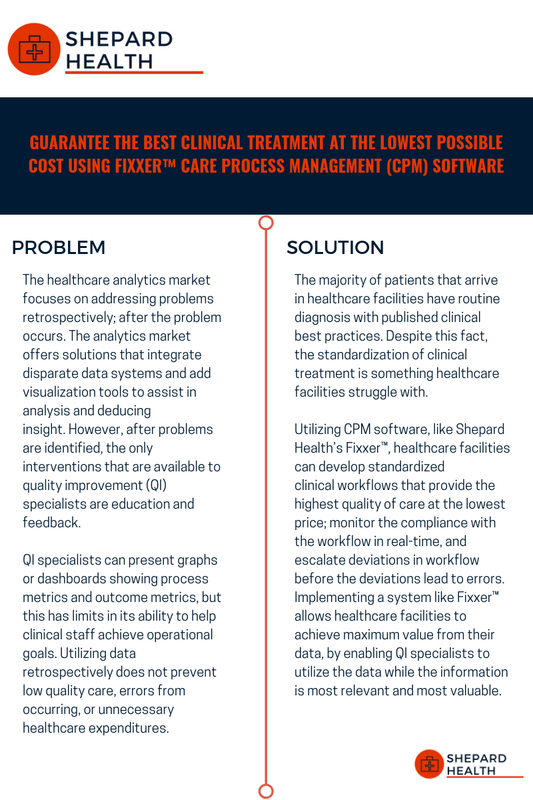 Shepard Health wanted to develop care process management (CPM) platform that help hospital lower costs and reduce patient errors. As a contract product marketing manager, I was able to redesign as well as rewrite copy on the website, logo, graphics, marketing material, whitepapers to better represent our target market. 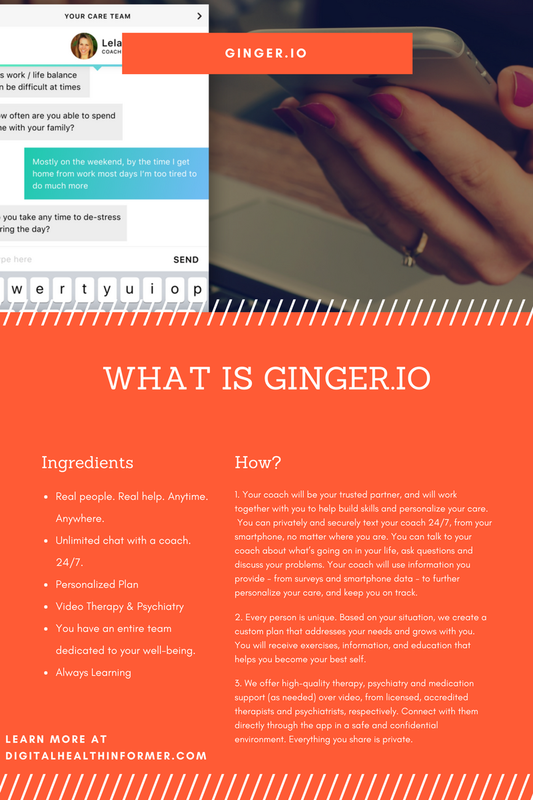 In addition, I created pitch decks and case studies to help win clients. The objective of Digital Health Informer is to create a source of information about the Digital Health & Technology landscape. We will provide information in various forms of content including: articles, videos, images, graphics, lists, and more. Digital Health Informer will analyze medical technology and innovative companies in regards to, but not limited to, their mission, products, workplaces, progress, and team. My goal was to proactively find new marketing and business development channels to facilitate revenue growth as well as brand awareness and measure viability against KPIs. TruBrain is on a mission to help you focus without feeling the coffee crash. As an Intern, I lead their first ever YouTube AdWords campaign from brainstorming and pitching through writing, editing, and producing, and then ultimately analyzing KPI's of first YouTube adword campaigns via Mixpanel and Google Analytics generating over 8,000 views. In addition, , I managed automated email campaigns, including setup, testing, deployment, and reporting resulting in a 36% increase in email view rate. Mission: Provide clinical skills instruction to children with Autism and related developmental disabilities in the home, community, and school settings. So that they can communicate, interact and live happier and healthier lives. Collect data on programs, assist with parent training, and assist the Clinical Supervisor with clinical assessments as needed. California Psychare’s mission was to ensure children with Autism Spectrum Disorder and Down Syndrome develop necessary skills to help them survive and thrive. As Behavioral Therapist I was responsible for day-to-day operational duties and tactical analysis related to the development of social, speech, motor and communication skills in children with autism and/or down-syndrome. I was also responsible for training new hires as they shadowed my cases. Facilitate system setup for Blizzard Entertainment gaming convention as well as tear-down. Managed teams of 2 - 3 temp hires and was responsible for network setup and teardown of BlizzCon event. Provided training, sourcing and in depth knowledge of software and it’s basics to guide workers. Collaborated with direct manager to design, deliver and evaluate the success of both the systems and software. Reinforced the value and dependability of content, and delivery methods for assigned technical training. It taught me the ability to execute the type of meticulous analysis that product and user research requires. I implement my history research methodology to everything I do. It allows me to gain a profound understanding of a situation as a whole, distinguish aspects of fundamental importance, and classify areas that require the most attention. Those endless research hours were followed by countless hours of writing, re-writing, proofreading, and editing papers. As a result, I obtained robust writing and storytelling skills. All this practice also expanded my ability to speed-read and write quality papers in short time. And as any great entrepreneur knows, the tech landscape is always changing. So, having the ability to process information and be able to create content quickly is a must. I learned that knowing why something happened, and understanding what it means is extremely important. And that’s one of the crucial aspects of building a strategy. It's one thing to know what results are producing. It's altogether a different thing to know why your strategies are producing those results and understanding what they mean for your product strategy overall.